Easy Pico de Gallo Recipe! 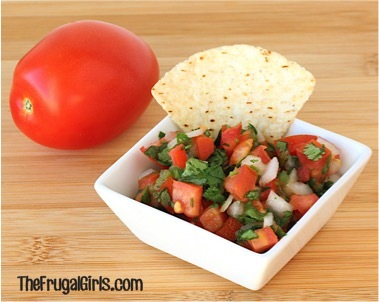 Get ready for some fresh and delicious salsa when you make this Easy Pico de Gallo Recipe! Dice Tomatoes with Serrated Knife. Finely chop Jalapeno Pepper, using Gloves while chopping. Combine all ingredients in a medium bowl and stir thoroughly. Allow Salsa to marinate in fridge for 1-2 hours before serving. Serve with crunchy Tortilla Chips, with tacos using this Homemade Taco Seasoning, or with fajitas using this Homemade Fajita Seasoning. Recipe can easily be cut in half. Enjoy! !